“Eu estou permanecendo com fome, e voce?” I can say that in Portuguese right? How about, “Eu venci um presente.” Sounds a little strange doesn’t it. These kinds of errors are also very common in English, and misusing words could GET you into some tricky situations. A friend of mine, another Australian, was spending some time here in Belo Horizonte, when he encountered a miscommunication with the word stay (instead of get). While sitting at a café using his computer, one of the waiters who knew he didn’t speak any Portuguese approached him and said, “You stay hungry.” My friend told me that he was very shocked by the man’s attitude and decided to go elsewhere for a snack. Later when he told me the story, I was able to clarify for him what had happened, the waiter was asking if he “was getting hungry” (ficando com fome). My friend thought the man was refusing to serve him, rudely telling him that he was going to stay hungry. 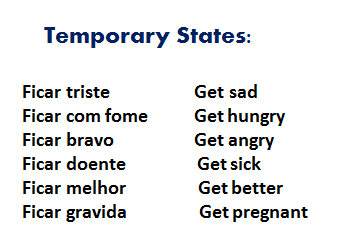 I used to always wonder why Brazilians always “stayed” at places or “stayed” with emotions and physical states. You’re probably asking yourself what the hell is he talking about, Well it’s because Brazilians have a tendency to use the word “stay” instead of “get”. I stayed hungry, I stayed tired, I stayed with that girl/guy… stay, stay, stay. So in this article we’re not going to stay anywhere, we’re going to get. Every language has one of those words that you hear all the time, but it’s used in so many different ways that it can be really confusing. In most cases, the translation of this word it doesn’t make any sense, or you wouldn’t use this word the same way in your native tongue. In this article we’re going to learn about one of the English language’s most commonly misused and often misunderstood words, GET. From my experience here in Brazil the word “get” always leaves people with doubt, and it can be very frustrating for the average language learner. One problem with English is that it has so many expressions and phrasal verbs that use the word “get” that it can be very confusing. But first let’s have a look at the literal meanings. The word “get” is so commonly used as a substitute for many words. 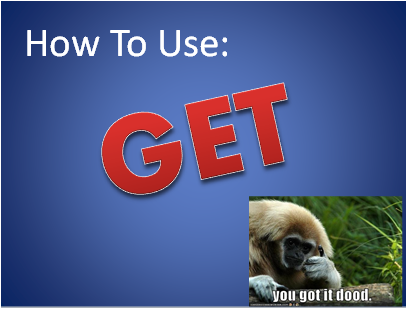 A lot of the time when we use “get” it makes it less formal and it’s a lot more common in spoken English. Here are some examples of the 5 most common substitutions. The word arrive sounds formal when used in conversation. Arrive would be commonly used at airports/ travel arrangements or in a serious business setting. In normal situations we tend to use “get”. This is a common mistake amongst Brazilians. Usually a Brazilian would use the word, “win” (Ganhar) in this case. In English “win” would only be used in regards to a prize or a competition/game. I got a new suit to wear to the conference. They got their instruments from the U.S.A. Depending on how you say it, understand sounds more formal than “get.” It could sound a little condescending as if you’re talking down to someone. I don’t get it/ Got it! In other words this meaning of “get” is when you leave where you are to fetch something and come back. It would not be used like in Portuguese, “pegar uma mulher”. I’m going to get her from work. To get along with- (Se dar bem com) I get along really well with my co-workers. To get over it- (supercar, sarar) I’m getting over the chicken pox / He’s still getting over his bad break up with his girlfriend. To get rid of- (Livra-se de) I’m trying to get rid of my old car but no one wants to buy it. To get by- (se-virar) I make just enough money to get by. So now that you know the uses of the word get, go out and put it to test. Try identifying the different uses of get while watching a movie, T.V. show or listening to some music. Hopefully you will start to get how we use them a little better, take advantage of all the online English resources and get excited about learning. That’s enough “gets” for one day, If you have any questions or feedback feel free to comment. Until we meet again Real Life English readers. 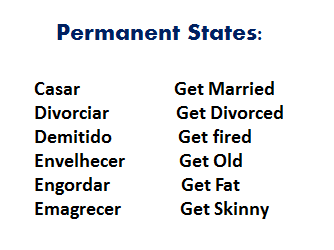 Hello Chad, I'd like to know why "get fired", "get fat" and "get skinny" are classified as PERMANENT STATES. Thank you for sharing. I think for such a horrible word, it is a very helpful explanation ever. Now I got it very well. Glad it was helpful! Thanks for reading and take care! Thanks! I’m following you here on twitter cuz I like to read and practice all the important topics and good explanations you share with us. Greetings from Colombia. That’s great. Now I can say I can to use word GET with more accuracy. Congrats guys.